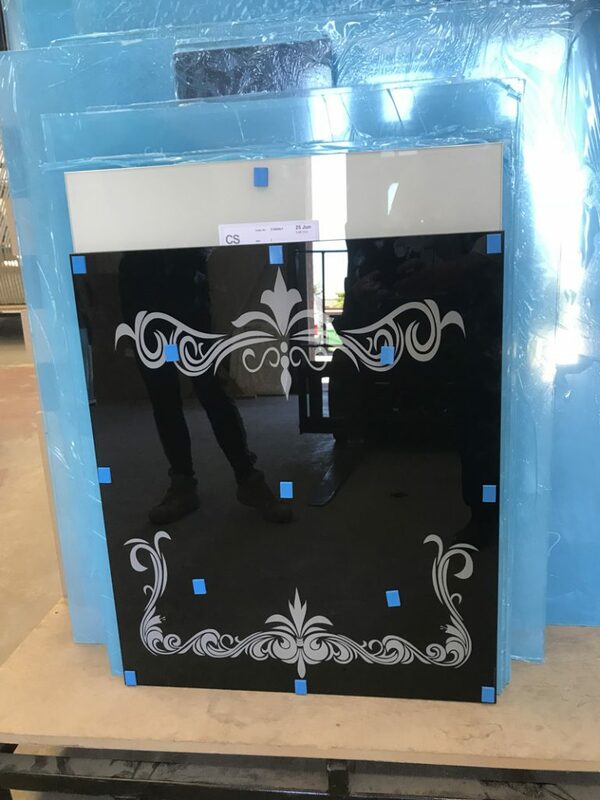 Here’s a custom toughened glass splashback with design provided by the customer. It is sprayed black with grey detailing. Want your very own customised splashback to go in your kitchen? No problem! Contact us today and see how we can help you.